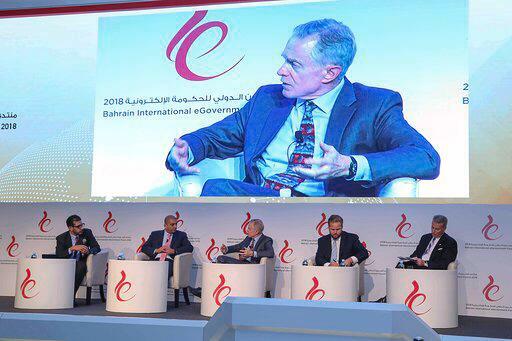 The first day sessions of the Bahrain International eGovernment Forum 2018 where elite international specialists and speakers discussed their experiences and success stories in several topics related to the latest trends in technology. 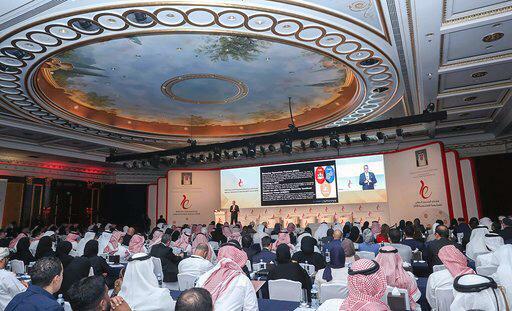 The first day sessions addressed Cybersecurity and Digital Transformation. The first day of the forum included a Ministerial Plenary discussion entitled ‘Digital Transformation in the Public Sector in the Kingdom of Bahrain within the Judicial and Commercial Sectors’ which involved the participation of guest of honor His Excellency Mr. Zayed bin Rashed AlZayani – Minister of Industry, Commerce and Tourism – together with Mr. Mohamed Ali AlQaed – Chief Executive of Information & eGovernment Authority. The panel presented the Sijilat system established to become a unified platform that completes various commercial transactions, improves performance, increases service efficiency as well as raises production level. His Excellency Mr. Zayed praised the support of His Royal Highness Prince Salman bin Hamad Al Khalifa, the Crown Prince, Deputy Supreme Commander and First Deputy Prime Minister which contributed in addressing eTransformation challenges that faced the ministry during its operation in Sijilat. 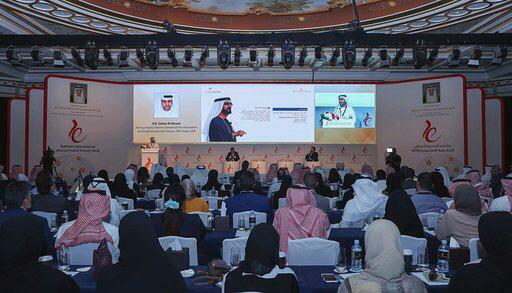 He revealed the launch of Sijilat’s second edition which will witness advancements such as the addition of 12 public entities to reach a total of 70 entities as well as adding services related to lands and industrial licenses and reducing time of requests from one week down to three days only. AlQaed also praised the initiatives of the Ministry of Justice & Islamic Affairs as well as Ministry of Industry, Commerce and Tourism in making the eTransformation process a success as he indicated that one of the success pillars is changing the laws and legislations, hence, reducing unnecessary procedures to complete commercial registrations in government entities from 22 to 6 procedures. He further added that the Ministry of Justice has succeeded in this field by electronically delivering its services like the court services which reduced time and efforts on users and will launch new services in the upcoming phase such as the Private Notary. The first session ‘Cybersecurity & Privacy’ included Mr. Larry Johnson, CyberSponse CEO from the US, who stated that one of the biggest challenges is the lack of defense resources while there are many tools for attacks. As a result, only 3% of cyber-attacks are being investigated around the world. UK’s ITC Secure Cybersecurity Director Mr. Arno Robbertse focused on the importance of organizations awareness in cybersecurity as well as the necessity of high-level of maturity and advancements. He also added that globally, over 1 million cybersecurity job roles remain to be filled. 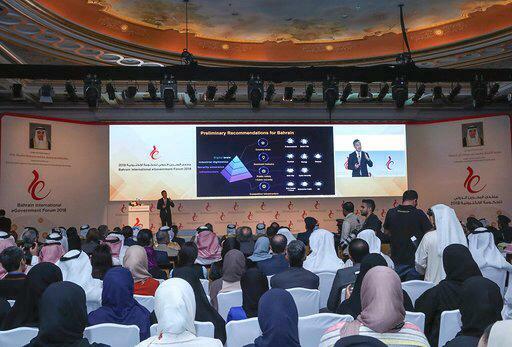 Huawei Technologies Company Chief Security Officer Mr. Donald Purdy spoke about the need of organizations to fully assess cyber risks as well as importance of collaborating between both the public and private sectors to set regulations in order to maintain cybersecurity. IronNet Cybersecurity Vice President for Strategy & Partnerships Mr. Jamil Jaffer said that cyber-attacks are rapid and increasing while defenders are slow. He urges all government entities, even if untargeted, to take necessary actions; additionally, alerting all entities which do not possess protection systems of cyber-attacks. On the second topic on Digital Transformation, Director of UK’s Cabinet Office at the Government Digital Service Mr. Chris Ferguson spoke about UK’s experience in digital transformation by indicating that governments must be intelligent. He also spoke about the importance of spreading the culture of experimenting, errors and corrections in the process of digital transformation which is one of the key factors that contributed in making the United Kingdom as one of the top 5 countries in digital governments during the past 10 years. During his session, UAE’s Telecommunications Regulatory Authority Deputy Director H.E. Salem AlHosani spoke about UAE’s experience and how it centralized its eService development goals on users’ satisfaction by simplifying procedures and reducing number of visits as well as documents. The Information Technology Authority Acting Director General of eServices Mr. Ibrahim AlWardi presented Oman’s digital transformation in real life and the success factors which rely on partnership between both the public and private sectors along with leadership support in ICT. With the participation of 11 international speakers, the Forum concluded with its sessions on Monday ‘Operating on Cloud Computing’, ‘Data Analytics: Opportunities & Trends’ as well as ‘Blockchain: Emerging Trends’.